Beginning March, Rotterdam Business School (RBS) lecturers visited us for two weeks on Erasmus+ grant for faculty mobility. 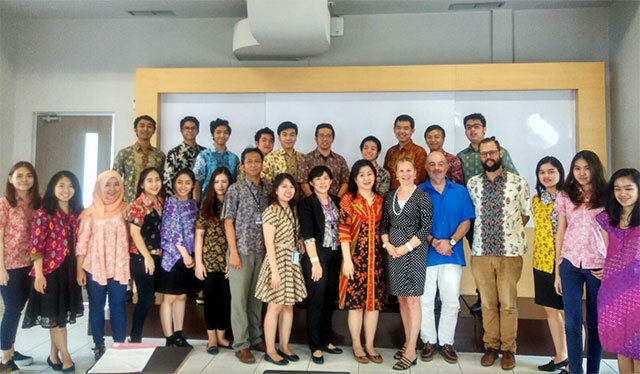 The funded effort focused on introducing the project-based method to BINUS students from International Business & Management Global Class track. Teaching mixed marketing lessons and transfer of business skills (presentations, business reports, meetings and project-based work) with tutoring support. Two additional seminars were entitled “Managing Across Culture” and “Marketing Across Culture”. In addition, workshops on project-based teaching method were held for the Global Class lecturers.